If you missed #21 click here. Best Moment: When you get the perfect combination of cards to completely destroy your opponent! Let's just get this fact out of the way - I'm not a Yu-Gi-Oh fan. I'm generally not into my anime anyway, Pokemon aside. I don't even know how I came across to playing this game, I certainly never owned it before I played it. I think my brother may have got it himself, or someone lent it to me... I really can't remember! But I got playing, not expecting to get into it. But it's a really good card game! Despite that, it's super tough. You have to grind really hard to be successful at this game. 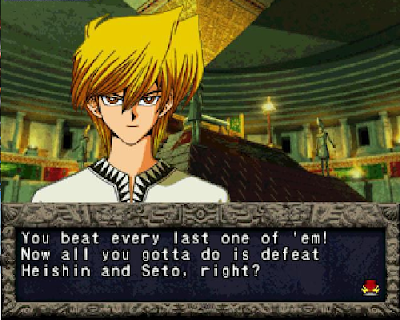 The difficulty increases really quickly, and you're expected pretty much fail each challenger and go onto the "Free Duel" mode to go against previous opponents to get better cards, between each challenge. The setup isn't the best, but the card game itself is lots of fun, and trying to break down your opponent and the actual doing so, gives you lots of satisfaction. 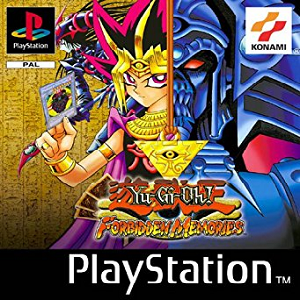 I do really really enjoy this game and I never really expected to do so, so give it a go if you like Yu-Gi-Oh and haven't played it before! Want to find out what came in at #19? Click here!